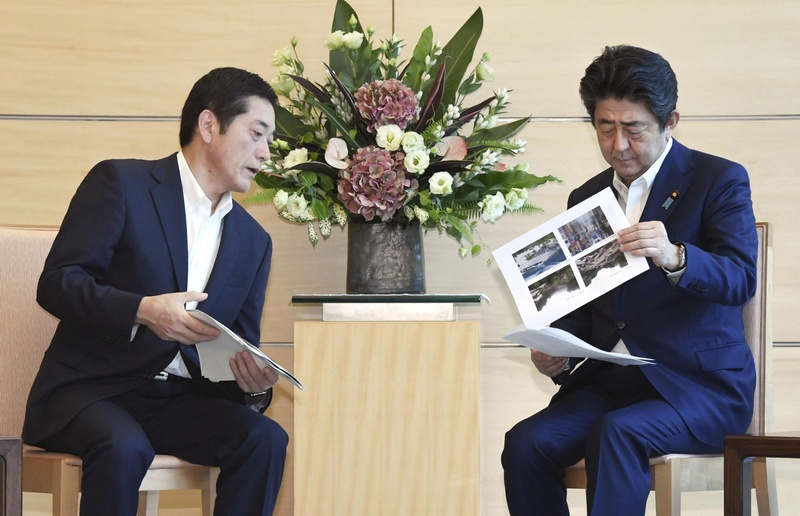 Prime Minister Shinzo Abe on Monday canceled a trip to Europe and the Middle East, deciding instead to oversee the government’s response to the devastation caused by torrential rain in western Japan. Abe was scheduled to leave for Brussels on Wednesday to sign a free trade deal with the European Union. In response to the cancellation, the European Commission said Japan and the EU have agreed to hold a meeting between Commission President Jean-Claude Juncker and Abe in Tokyo on July 17 to sign the pact. 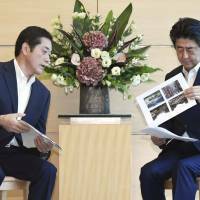 After Belgium, Abe was expected to visit France, Saudi Arabia and Egypt before returning to Japan on July 18. He is now expected to visit areas hit hard by the massive flooding and landslides that began last Thursday, officials said. Suga said the government will decide when and where Abe will travel after receiving a report from disaster management minister Hachiro Okonogi, who has gone to Okayama and Hiroshima prefectures, two areas that have suffered the most from flooding and deadly landslides.